Patrick Kenzie and his partner Angela Gennaro are hired by powerful Boston politicians to find a missing black cleaner who they claim has stolen some important documents from the State House. It should be a relatively straightforward task to find Jenna Angeline, a resident of down-at-heal Dorchester. However, Kenzie and Gennaro are not the only ones looking for her and soon they find themselves in the middle of a deadly gang war and of interest to the police. Kenzie and Gennaro are determined to solve the case, but to do so they need all of their wits to stay alive. A Drink Before the War was Dennis Lehane’s debut novel and the first of six in the Kenzie and Gennaro series. The tale is essentially a PI thriller, with Kenzie and Gennaro running the gauntlet of high-powered politicians, two rival gangs, and cynical, hard-nose police while trying to locate a missing cleaner accused of stealing documents. Kenzie and Gennaro are both damaged goods – Kenzie living in the shadow of his abusive father and Gennaro is trapped in a violent marriage – and there is a strong sexual chemistry between the two that forms a main sub-plot. Lehane maintains a steady pace and keeps the tension high as they cannonball from one difficult situation to another and the body count rises. While the essential ingredients of the plot – a missing person, child abuse, extortion, revenge – are nicely blended, Lehane occasionally pushes the action into a little-over-top territory and there are a couple of plot devices that feel a little forced. The real star of the tale, however, is Boston, with Lehane’s descriptions of the city providing a strong sense of place. An entertaining read that nicely sets up the series. You nailed it. He owns Boston now that Robert Parker is gone. I need to go back and read all of these again. Thanks for the reminder. Patti's right: Boston is Lehane's town now. 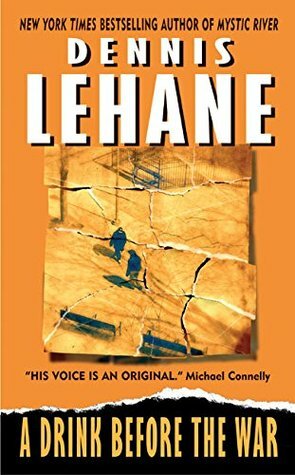 A long time since I read this one, and I agree that it did go a bit over the top, but that certainly didn't stop me from becoming a big Lehane fan. I actually like these what he himself called pot-boilers a bit better than his more ambitious recent ones. Although I will probably still read them all eventually.